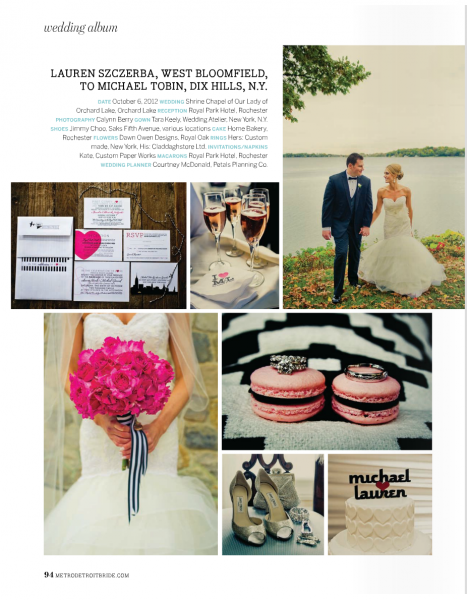 Lauren had a pretty distinct vision for her wedding and used her stationery to convey it very well. 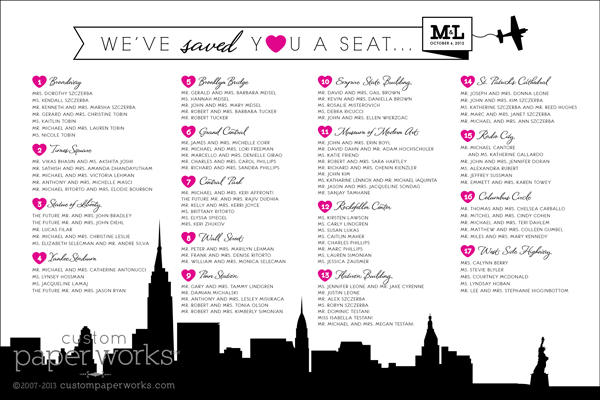 Black and hot pink typography intermixed with a NYC skyline and airplane banner make for a very stylish wedding! 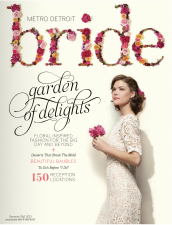 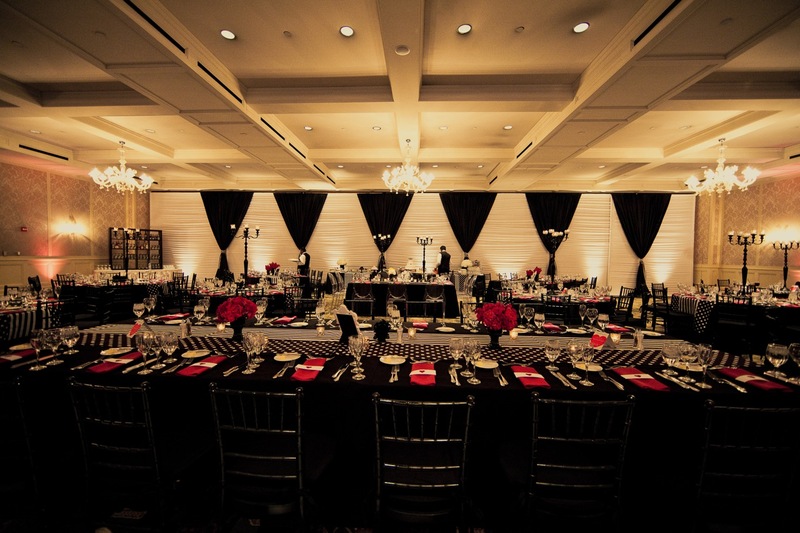 So much so that it has been featured in DETROIT METRO BRIDE with special thanks to photographer Calynn Berry. 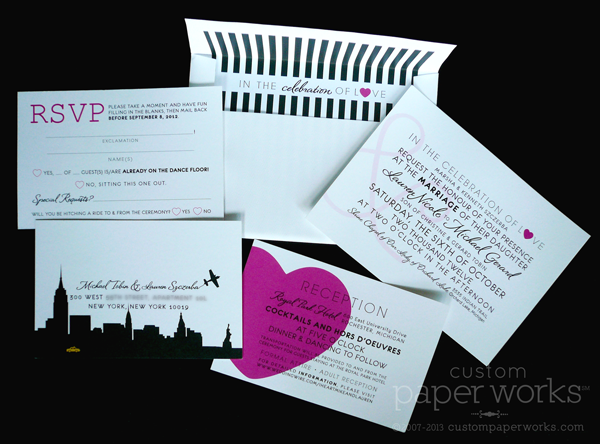 The invitation suite featured a mix of typography as the overall theme. 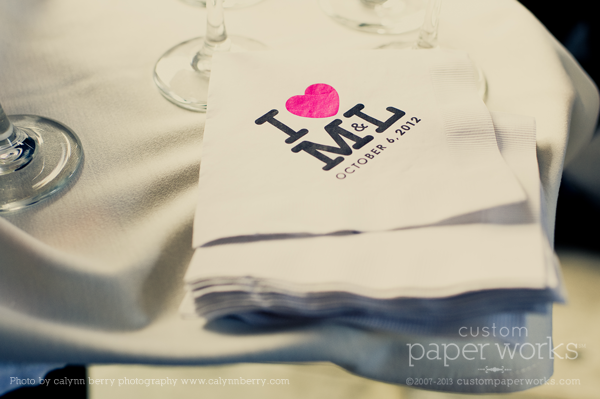 Plus hearts, stripes, ampersands, airplanes, a city skyline AAAAAND the cutest little yellow taxicab you ever did see! 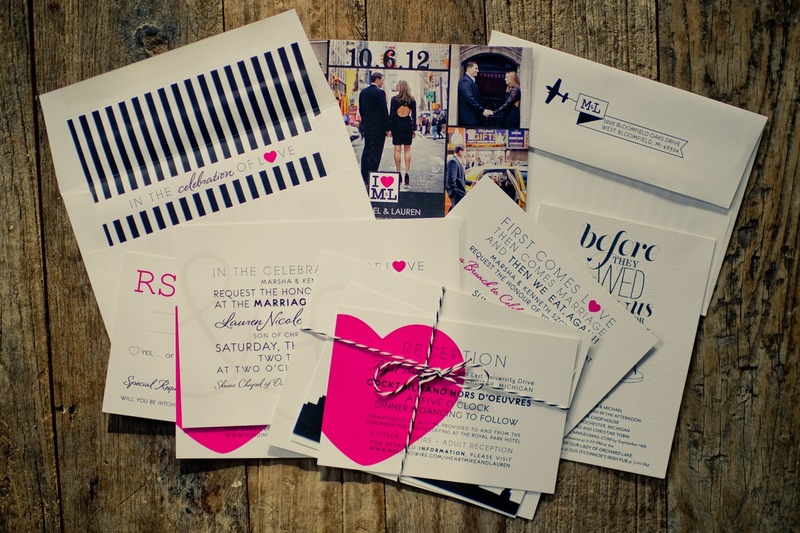 This suite could easily be great inspiration for any city, color palette, or pattern. 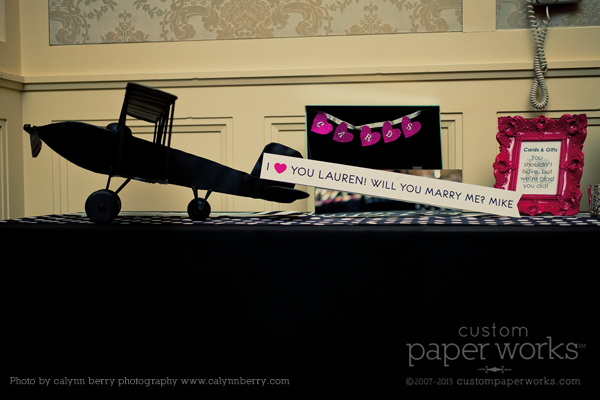 Custom Paper Works created a host of other details for the wedding including brunch invitations, custom cocktail napkins, menus for the tables, seating chart, and a surprise to the bride from her mom … a 3D sign for the gift table.